The Friends of Badger Mountain and the users of the trails in the Badger Mountain Centennial Preserve would like to thank the contributors and members who help make possible the preservation of our ridges and the trails we so enjoy. These lists of donors are correct to the best of our ability; to request any changes, please contact us. Latest: We have reached our fund-raising goal of $1.5 million for a new preserve on Candy Mountain! Heartfelt thanks to everyone who got us there! More than 170 donors to date. Preserving Badger Mountain is a joint project of the Inter-Mountain Alpine Club (I-MAC) and the Lower Columbia Basin Audubon Society (LCBAS). 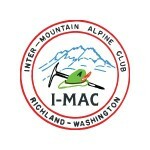 The Friends of Badger Mt would like to thank I-MAC and LCBAS for their support.